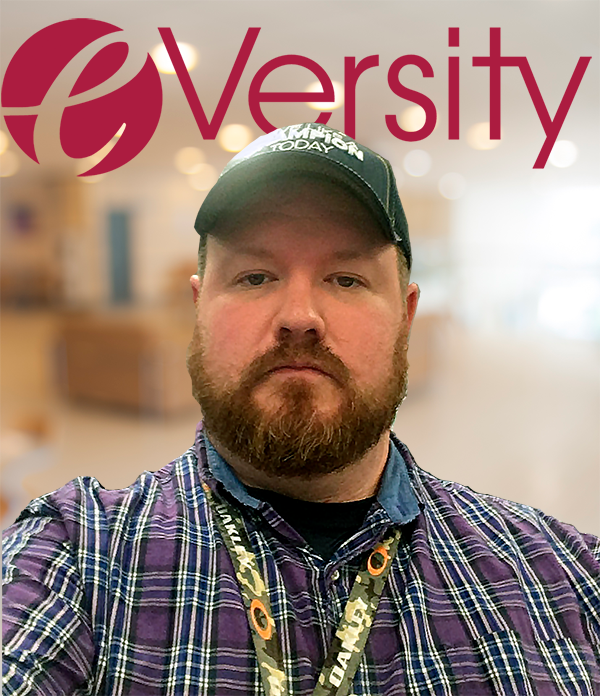 Going in, Matt Laird didn’t know what to expect from his University of Arkansas System eVersity experience. The former U.S. Marine and police officer had interrupted work on his degree to be a caregiver for his aging parents. Once he was ready to resume his studies, he wasn’t sure how he felt about getting back into the swing of being a student, especially given his professional experience with some of the class subject matter. Laird enrolled in a criminal justice class at eVersity on gangs. Having both specialized in intelligence and planning during his stint in the miitary, as well as having dealt with gangs firsthand during his time as a police officer, he had a lot to say on the subject. But he wasn’t entirely sure how that would play during class. Laird is quick to point out he’s not a gang expert, but his range of experiences gave him a first-person perspective on the issue including the origins of gangs and the traits the most notorious groups have in common with terrorist organizations. He could also localize the discussion to what was going on in Arkansas. He was pleasantly surprised to discover his insights were welcomed and he was encouraged to share. Laird graduated from Bentonville High School in 1996 and quickly discovered he wasn’t cut out for college. After a four-year hitch with Uncle Sam, he worked in law enforcement for the Benton County Sheriff and Rogers Police Department. He also dove back into school, completing 63 credit hours in a calendar year before his parents’ declining health stopped his degree in its tracks. Now an employee of J.B. Hunt, he discovered eVersity about a year ago and was immediately struck by the way it catered to adult learners. On the other hand, eVersity exceeded his expectations in every way. After having earned his bachelor’s degree in December, he only has one regret about the state’s first all-online university. “I found out they started working on (eVersity) in 2015; I really wished they’d done it about a decade sooner,” he said.